In all truth, the January Transfer Window for 2013 lacked much of the drama of recent years. 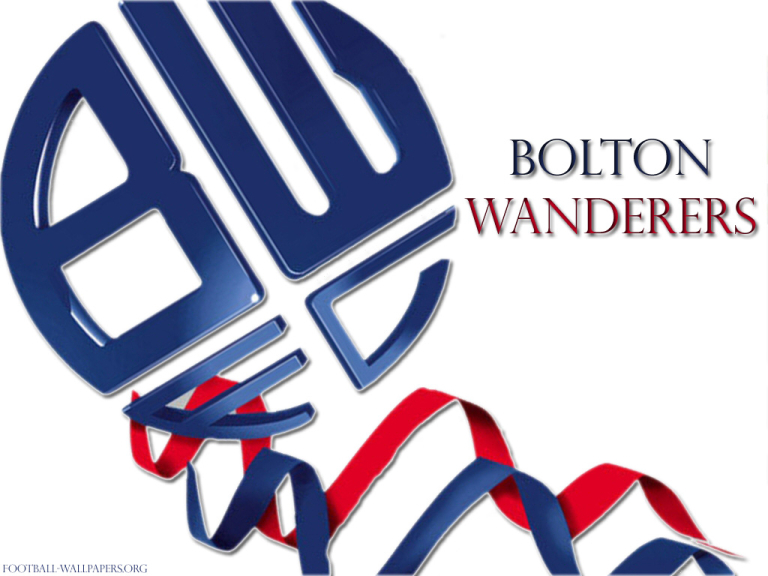 But it could be a make-or-break period, and shape the rest of the season for Bolton Wanderers Football Club. We're currently languishing just above the relegation zone, and the season hasn't quite ignited yet for us. It's going take one phenomenal push to try and have any impact, but with half a season left, there is still time. And the players signed last month will have to play a big part in that. The first signing for Bolton of the January transfer window, Craig adds to the number of Davies's on the team. A current Welsh international, Craig Davies is more than capable of scoring given the chance. He's proved that in the Championship already, at Barnsley, and is looking to replicate some of the form that got him playing for his country. Craig Dawson provides somewhat of a transfer coup for BWFC, with the youngster born in Rochdale having also been chased by Blackburn Rovers, Leeds United, Nottingham Forest and Leicester City. BWFC fans will be looking for him to make the same impact as Gary Cahill, and to fill the void left by the now-Chelsea player. Having appeared this Summer for the Great Britian Olympic team, Dawson is more than capable of becoming a star for the team, at least until his loan period ends this Summer. Slovakian midfielder Gregus has signed on an initial loan, with the intention to make that permanent depending on the impact made on the development side. And it seems that could have been a move nothing short of genius with Gregus scoring on his debut in a 3-3 draw with Manchester City. Tough-tackling Mohamed Kamara, widely known as Medo, was signed to fill one of the biggest holes in the team, that of defensive midfielder. Medo will provide some great cover for the back four, allowing the rest of midfield to help create chances for the strikers. Medo has Champions League experience, and has been targetted by a range of top teams in recent years, including Tottenham. He should provide a level of stability to the team, as well as experience and control. A former Player Of The Year award winner in the Dutch League with De Graafschap, De Ridder arrived at Southampton in 2011 for a significant undisclosed fee. Having struggled to since make an impact, however, he's made a loan move to Bolton. A pacy striker that can also play on either wing, De Ridder is looking to make a statement, and show he is worthy of a place back in the Premiership with the Saints. That can only bode well for us. This young Irish starlet has followed former defensive team-mate Matt Mills in moving from Leicester City to BWFC. Having spent most of his senior career on-loan at Bristol Rovers, the 20-year old hugely impressed in over 50 games, and drew the attention of a number of clubs, with Bolton winning the race.